The perks of being at university include getting to hang out with cool people, enjoying new challenges and most importantly, buying new stuff for September just like when you used to go back to school. Of course, folders, pencil cases and notebooks are high on the agenda. But I'm always on the look out for a new bag too. 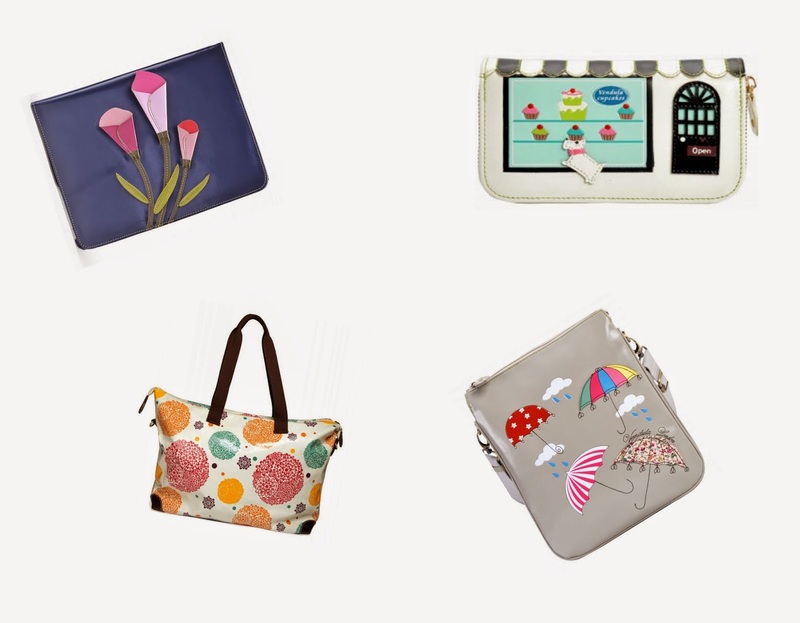 I was recently introduced to Vendula London who design cute bags, accessories and funky purses. I've put together a bit of a wish list of my favourite pieces from the site. Top Left is this cute iPad cover, I love the deep purple colour and pretty flowers, next is cake shop wallet, below is my absolute favourite design on the site, the umbrella range. I love this grey cross-body bag, with sweet umbrellas. It's big enough to fit my books, purse, and other assorted rubbish in! and finally, for the days when I have to take my whole life (which is normally coming up to assignment deadline) this large tote bag is perfect!